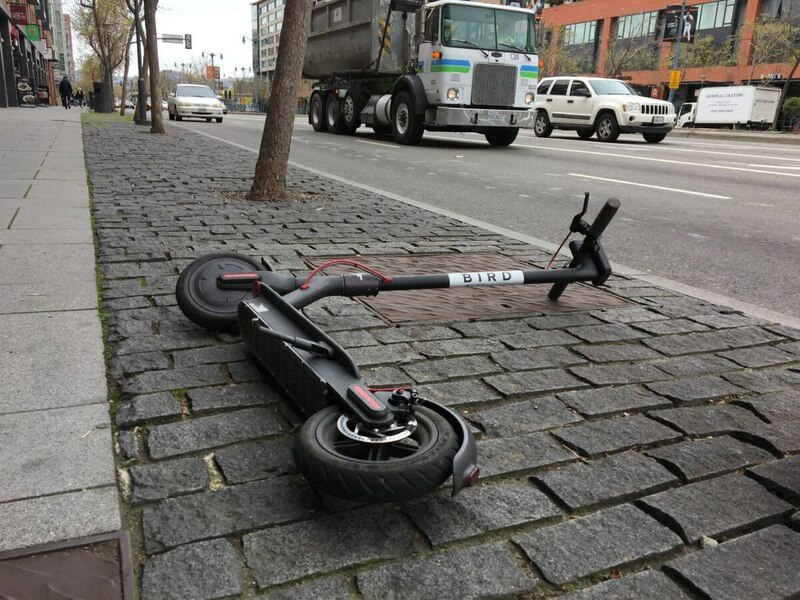 I Just Lived Through the Invasion of San Francisco by Electronic Scooters. Portland, You Have No Idea What You’re In For. Everything seemed so normal the day the motorized scooters came to my town. 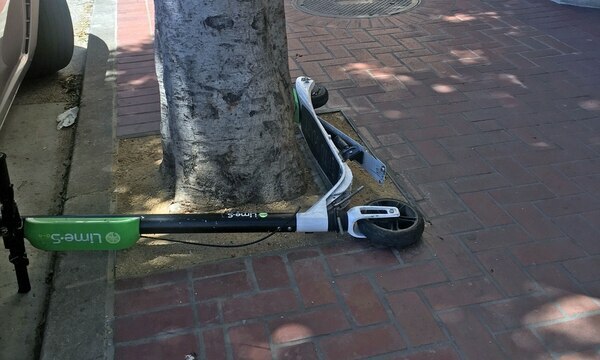 What I remember from that March morning: walking out of my apartment in San Francisco's SoMa neighborhood and seeing a scooter lying abandoned on a street corner. Then I started noticing them everywhere. Nestled snugly against apartment buildings and grocery stores. At bus stops, on the Metro, slung over a shoulder. "Yeah, it was like…overnight! They just suddenly appeared," says Alex Sorensen, who works as a barista in SoMa. "I ride my bike to work, and they're just all over the bike lane. People are riding the wrong way with headphones in their ears." There's a moment in every zombie apocalypse thriller when the world gets quiet. It's right before the hysteria descends. Portland is in this moment. San Francisco was once, too—three months ago. The Bay Area is now consumed by electronic scooters. Think little kids' scooters—the handlebar-equipped training wheels before you graduate to skateboards—but with 250-watt motors. Estimates of how many were deposited on San Francisco streets range wildly, from 2,000 to 4,000, all of them appearing virtually overnight. Last week, Portland transportation officials announced they're planning to introduce a four-month pilot program for the dockless scooters later this summer. Officials have also emphasized that the pilot program in no way guarantees the scooters will stick around. That may be true. 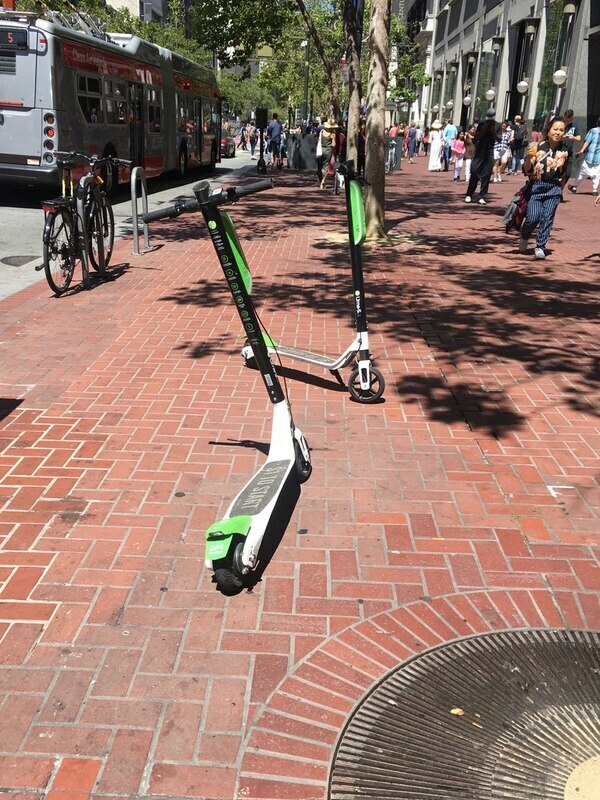 But take it from me, somebody who has lived through San Francisco's scooter madness: This is the single most divisive thing to hit Silicon Valley since the Google Bus. Hillary Martin, a student at the California College of the Arts, says the scooters initially didn't bother her. "They seemed like a good way to get around town," she says. "But then over time, I realized these are really inconveniently placed. They're just taking up space on sidewalks!" The first wave of the invasion came from California-based startups like Bird, Spin and LimeBike. These tech companies advertise cheap, simple and environment-saving transportation. Much like the introduction of Uber on Portland's streets in 2014, the scooters arrived without any approval or guidance from city officials. 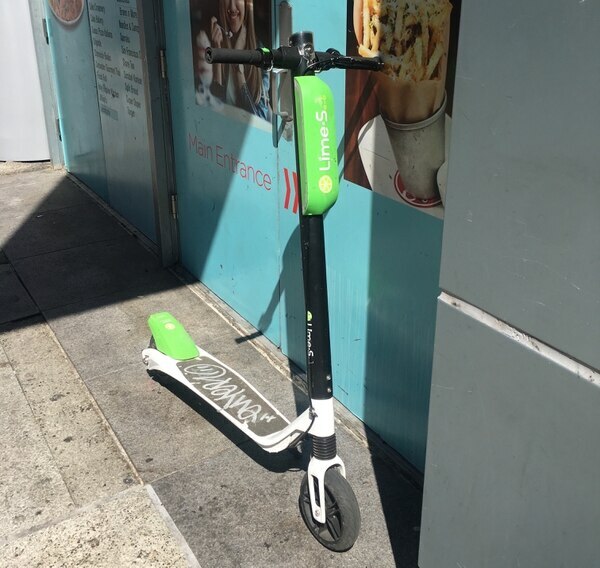 Since the scooters are dockless, they can be locked and dropped off at any location, including the middle of the sidewalk, in the roadway, leaned up against cars or lying in the bushes. That makes them tough to navigate for people using wheelchairs or strollers. The scooters are virtually silent and can go up to 15 mph. They outpace most bicycles and are difficult to hear coming until they're already upon you. It's on the sidewalk where scooters become hazardous. People have tripped over scooters left outside their doorsteps. Others have been hit by riders cruising down the sidewalk. And they seem to invite irresponsibility. Less than a week after the scooter invasion, I saw a scooter rider get hit by a car underneath an overpass near the Mission District. As police arrived on the scene, drunken scooter riders careened by without a care in the world. Former Portlander John Sepulvado—I work with him at a Bay Area public radio station—has a favorite example of how scooters seem to make people lose all sense. "I was driving in downtown San Francisco when I saw two people start making a boxer stance. They were literally fighting over who was going to ride the scooter in that moment," says Sepulvado. "Like, grown dudes, fighting over a green and white scooter." A backlash was predictable. I've seen people kick scooters over or deface them with graffiti and, on occasion, excrement. Others have just started stealing them—"hot wiring" the scooters by quite literally ripping out their motors—prompting companies to install ear-piercing alarms that sing outside your stoop for hours. Disgruntled residents have thrown scooters into garbage cans and Oakland's Lake Merritt. Last week, around 60 tenants' rights activists blocked nine tech buses carrying Google employees to the Silicon Valley campus with a scooter blockade. They claim the scooters are a symbol of "techsploitation" and gentrification in the city. And that's a common refrain here: Scooters go hand in hand with tech transplants who don't care about who they inconvenience or run over. If I recall correctly, Portland has its own issues to work out on that front. In some ways, scooters are the least of the problem. Maybe Portland, with its tighter regulations and companies that have pledged to work with City Hall, will find the little machines fit in better. Good luck with that. And look out behind you. Michelle Wiley is a reporter for KQED in San Francisco and former news writer for XRAY.FM.